Escalator Principle: Are Returning Servicemembers Entitled to Bonuses? Applying the escalator principle is reasonably simple when job advancement is strictly a matter of seniority. But how is it applied when advancement depends on additional training and passing qualifying tests? One of the great things that I learned while training as a young 2nd Lieutenant at Fort Benning, GA was the use of rehearsals. We did rehearsals for everything. Parachute landing falls for airborne training, gunnery drills for mortar training, and tens of different standard operating procedures (SOPs) for patrolling while at Ranger School. Did Supervisor Discriminate Against Reservist Due to Possibility of Deployment? An Army reservist claimed that he was discriminated against after informing his supervisor about the possibility of an upcoming deployment. Why Aren’t Hiring Managers Recruiting Veterans? 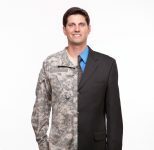 There is a disconnect between veterans and civilian hiring managers that goes both ways. Veterans leave military service typically unprepared and unarmed with the tools to position themselves as viable candidates to civilian companies, and hiring managers are unskilled and untrained in how to recruit military veterans for jobs outside of service. I have been asked many questions about bullying throughout my career, but there is one question I can never seem to escape: What is the difference between workplace bullying and harassment? Many private sector employers value military skills and training. But service members and veterans are getting an even bigger edge in the recruitment process with training programs that facilitate their transition to careers as civilians.